Are they making a statement about the marketability of Urban radio and Hip Hop music? As expected Radio One kicked off the new format on 107.9 WPHI which was the home to Urban AC WRNB. The new “Hot 107.9” arrived on the air with the sounds of Nelly's "Hot in Herre" right after it closed out their Rickey Smiley stunt with Boyz II Men's "It's So Hard to Say Goodbye to Yesterday." 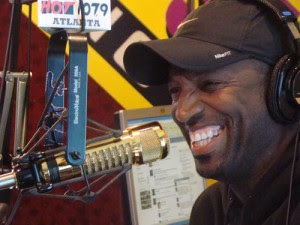 But any similarities to the same named station in Atlanta are in name, logo and the Rickey Smiley Morning Show only. What they are giving to their listeners musically is a lot different from what was aired on the previous location of WPHI 100.3 "The Beat" or what is currently airing on Hot 107.9 in Atlanta. The new Hot 107.9 in Philly is imaging themselves as "Hip Hop and R&B" but Rhythmic Contemporary titles from the likes of Black Eyed Peas, Justin Timberlake, Adele "Running in the Deep" and Rihanna's "Cheers (Drink to That)" rule the airwaves. The station is featuring "classic" Hip Hop songs along with the most popular current Hip Hop hits. It will be interesting to see if this is just format tweaking or if Radio One is serious about going after a mainstream demo similar to what 95.5 WPGC is doing in Washington, D.C. By doing so they are handing over, by default, the urban audience to Clear Channel's Power 99 in Philadelphia. What WPGC in DC is doing seems to be working their with much improved ratings for them in the 18-34 demo number #2 and growth in 12 plus. The question is will Radio One have the guts to stick with a crossover format in Philly I am african american i think that if they do its a smart move. Power 99 pretty much always beat 100.3 The Beat anyway most of the time so go at it from a different point of view. Too many of these Urban Stations song alike anyway carbon copies of each other think outside of the box Radio One.